tonight at e street cinema! 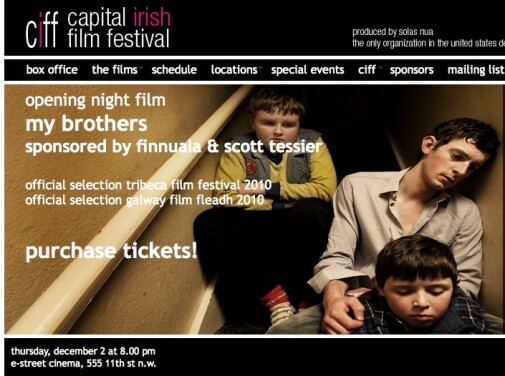 paul fraser’s my brothers opens the capital irish film festival 2010.
read ann hornaday’s review in today’s washington post! fraser’s beautiful, critically-acclaimed film follows three brothers who embark on an epic and hilarious quest in an unreliable bread van to replace their dying father’s lost watch.